And because there’s some people who do not read my posts all too carefully, let me again state strongly: my repository contains “latest” and “testing” releases. Currently, the “testing” release is severely outdated and will probably not work at all, or at a minimum give you headaches. The repository you are downloading from should either have “14.2/latest” (for Slackware 14.2) or “current/latest” (for Slackware -current) as part of the URL. When I have time and feel confident, I will re-visit the “testing” repository and work on the Wayland support, which is what that repository is meant for. Be sure to check your automated package management programs for the correct repository URL! What’s new in KDE 5_16.12? Plasma 5.8.4 is an incremental bug fix release for the 5.8 series. Plasma 5.8 is labeled a Long Term Support (LTS) release. Applications 16.08.3 is a maintenance upgrade. See https://www.kde.org/announcements/announce-applications-16.08.3.php . In the ‘deps’ section, as previously stated I patched “qt5”. Also I added a “gpgme” package as an update to the stock Slackware version. It’s needed now to compile Kwallet and Telepathy. Telepathy was enhanced with support for the Telegram IM protocol. Please tell me if it works for you – I could not successfully send a chat although the program registers itself with the Telegram servers properly. I have removed baloo and baloo-widgets from the ‘kde4’ package subset. These two kdelibs4-based packages are no longer used by other packages. This upgrade should be straightforward if you already have Plasma 5 installed. See below for install/upgrade instructions. And if you want to check it out before installing, I have generated a new Live ISO for the PLASMA5 variant. Look for that ISO on http://bear.alienbase.nl/mirrors/slackware-live/latest/ soon. Check the timestamp of the “slackware64-live-plasma5-current.iso” ISO. 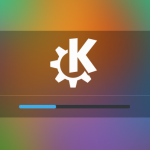 Upgrading to this KDE 5 is not difficult, especially if you already are running KDE 5_16.11. You will have to remove old KDE 4 packages manually. If you do not have KDE 4 installed at all, you will have to install some of Slackware’s own KDE 4 packages manually. Posted: 10 December, 2016 in Slackware, Software. The part of the “.new” file fails somewhere. All configs are overwritten. No “.new” files are found. The above results in the problem I had with SDDM in the previous version. And now the HiDPI option doesn’t work anymore so SDDM is unusable again. I fail to see how all the .new files would be gone, unless installpkg/upgradepkg had checked the original file and concluded that there is no difference between original and .new files. You are providing insufficient background info to make an educated guess. You tell exactly zero about your upgrade steps. What package tool are you using to do the upgrade? How does a .new file affect your HiDPI settings? Also, the previous Plasma5 package set (the one I released early november) already had this SDDM package on board, so your pkgtools should not even have touched the sddm package or its config file. [10:43:05.668] (II) DAEMON: Display server started. [10:43:05.668] (II) DAEMON: Socket server started. [10:43:19.013] (II) DAEMON: Socket server stopped. Can I go back to KDM? but i have tested your news packages, except telepathy part. a new version of kdeconnect-kde-1.0.2 is available this version seem worked better that the 1.0.0 version, here. I modified my /etc/sddm.conf and then ran “upgradepkg –reinstall” on the sddm-qt5 package. My modification in the /etc/sddm.conf file was still there. As expected, and as previously tested and validated here but I had to be sure. Your installation process is flawed somewhere, even if you say you copied the commands from the README verbatim. Check your command history, perhaps it will shed light on what went wrong. If you want KDM back, that is entirely possible. You’ll have to go all the way though: downgrade from Plasma5 to the stock KDE4 of Slackware. There is no KDM in Plasma5. Ever thought of runlevel 3? That still works if your SDDM fails. Well my commands are copy&pasted and check out in my bash_history. I can’t find an error there. I did make an error editing /etc/sddm.conf so SDDm is working again. My config did get overwritten somehow. And I didn’t have a .new file. I don’t see the error? Mikel, you did both “slackpkg new-config” and “find /etc/ -name “*.new”. If you finish with the slackpkg command and dealt with every file it proposed, your second command will not find any .new files. My guess is that you told slackpkg to overwrite the existing /etc/sddm.conf file with the .new file. No, I ran the find command after slackpkg new-config didn’t show anything. Hi Eric, thank you! Was unable to test the telepathy part but otherwise everything is running smoothly here. Thanks again for this great Christmas gift! Bravo Eric! So far, all seems well from your end. I see I’ve a /home drive about to die on me, and THIS likely is what’s plagued my system for a week or so. Once I rid myself of it, I can tell you more if there is need to. First, thank you very much for all your efforts around Slackware and Plasma 5 in particular. “The version of the GpgME library you are running against is older than the one that the GpgME++ library was built against. Kleopatra will not function in this setting. I have verified that I have the correct gpgme-1.7.1-x86_64-1alien and gpgmepp-16.08.3-x86_64-1alien from this release. Any thoughts or assistance is most appreciated! Just upgraded on my Toshiba laptop from KDE 5_16.11. Looks ok, shutdown process is at least five times faster. Some plasmoid widgets still doesn’t work. One other thing since I seem to be brain-dead. How do I configure slackpkg+ to exclude upgrading kde? In PKGS PRIORITY I put alien-kde:. * I must be forgetting something…..
Mike, seems OK to me, but (1) you do not post your complete configfile and (2) you don’t tell what’s going wrong. I believe this all the relevant part. What happens is after I set the config, I issued “slackpkg update”. Next, I issued “slackpkg upgrade-all”. It shows all of Slackware’s kde to be upgraded. It really should show nothing? It should not show all the Slackware KDE packages as candidates for upgrade. Again, if you do not share your slackpkgplus.conf I can not give you a useful anwer. I had it on the clipboard……looks like I forgot the important part. # for example: \”DOWNLOADONLY=on slackpkg upgrade-all\”. Useful for large upgrades. Please: next time, try to NOT paste all the irrelevant comments but leave just the relevant lines… makes your post smaller and this page a lot easier to read. Tyler, Michelino, I do not even get to start kleopatra. It segfaults immediately. If you find what’s wrong, tell me. A patch will be even better. That did the trick Eric, thanks! I still had to look hard to find the two instances. Good grief…..
Can you post a way how to uninstall the whole project and revert back to slackware current or 14.2? I’ve been following your epic KDE achievements since KDE 4 (while stock -current was 4.7~8 or so). Well, I moved out from the previous KDE WM and have been using awesome WM for the last year and half. Nonetheless I always kept my eye on your Ktown adventures. Today I moved from my previous KDE 4.14 to your brand new KDE 5_16.12. Apart from some glitches because the mix between awesome WM and KDE itself and other minor config stuff, it was a pretty smooth path. So I’m here just to tell you this: I’m always amazed by your organizational methods, precise wording and technical description for documentation matters and the high quality of the products you deliver. But this time you had exceeded yourself. Ktown is greatest then it already was before! Thank you for your work. Pat and the whole Slackware community is going to receive a rock solid KDE 5 when its time arrive. Thanks Deny Dias. I hope you enjoy the Plasma5. Hristo, it should be possible to script this kind of “downgrade” or at least provide a sequence of commands to achieve it. Eric, I noticed your Slackbuild directory for gpgme contains the src for both 1.7.1 and 1.8.0, which version was gpgmepp compiled against? I am trying to build my own package to figure out where the problem lies. I originally tried with gpgme 1.8.0 but that version is broken, and even with the patch I tried (it’s also in that same source location under ./patches/) there were issues. Other distros report the same thing so everyone sticks with 1.7.1. Therefore I built my package using 1.7.1. I’m enjoying Plasma 5, yes. bam, I could not get it to work either. Patches are welcome, I do not use telegram myself and only added it on request. I am not going to search for a fix. Thanks Eric, it was me who asked it. No problem here, maybe it will work in further versions. I wonder if it works in current KDE neon though.. I did try telepathy with telegram yesterday. It connected and at first nothing seemed to work. Anyway after a while it somehow syncronized with the previous status of the various chats I had and it has worked. Anyway I found it disappointing because it lacks many features in current status. So I’m back to Pidgin + purple-telegram for desktop usage. I have downloaded the file slackware64-live-plasma5-current.iso and recorded on a DVD, started correctly on my 64bit machine and asks me for a password … for more that I searched on your blog I can not find any reference .. .. ??? Is it okay for a Live to ask for a password? Pere, I do not believe that you searched the articles in this blog. Information about the password for the “root” and “live” user accounts is mentioned in several articles. After kde plasma updated, the panel always lag when opened more application. For running back i always run \”alt+f2\” then type kill plasmashell and run again plasmashell &. In earlier, i was rebuilt qt5 and nothing. I recently updated my system to Plasma and now slackpkg is pulling all the old KDE4 packages to update. Is this normal? (2) install slackpkg+ and configure it to use my ‘ktown’ repository. If you do not pick either of these two options, then slackpkg will always give higher priority to an official Slackware package if you have a 3rd-party package with the same name installed. So is it enough to recompile only qt5 in order to run with current from Jan. 18? Pat has recompiled quite a few kde4 packages. Strange problem with this Plasma5 set and with older set. Sometimes there is somehow generated file qt.conf in directory /usr/bin and plasma wont start. After deletions of this file everything is normal. Still didn’t noticed why and when this file is generated. At this moment it looks like very random. First time I hear that, Raveriux… never happened to me. So I tried from slackware.uk and got the same errors. 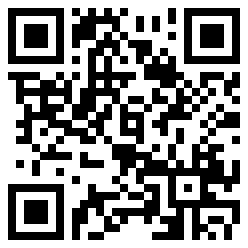 I’ll generate new CHECKSUMS.md5 when I upload new packages. That will probably be around the weekend, if I can fix my issues with the new Applications 16.12.x. The two .asc files themselves are OK by the way. It’s just their md5 checksums that are incorrect. So, slackpkg’s GPG signature check will not fail. Found the problem sollution. Someone posted in the linuxquestions that this can be caused by some packages in SBo which include qt.conf file which is placed to /usr/bin/ during install of the package. Mendeleydesktop for example. Yea, I figured it was just something silly like that. Just thought that I’d give you a heads-up.